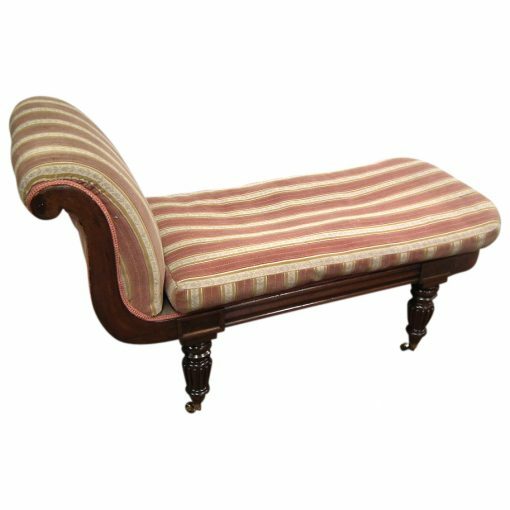 Circa 1830, late George IV neat sized mahogany chaise longue. 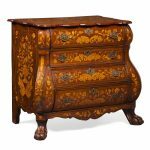 The upright section with its lyre shaped end which gently sweeps down into a flat section with oval ends and a ribbed mahogany fore edge. There is a separate squab cushion which sits on the sofa. Below this are framed panels atop 4 squat turned and fluted legs which finish on brass tipped castors. 80cm high x 127cm wide x 54cm deep.